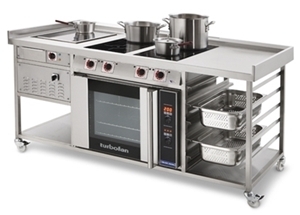 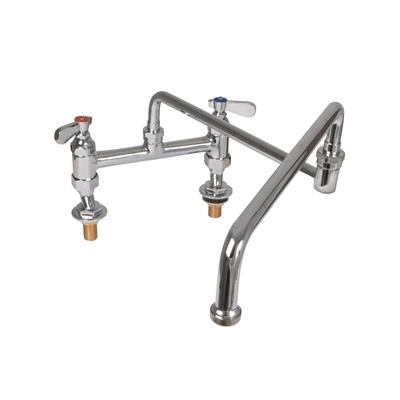 Die-Pat commercial kitchen taps are chrome plated deck mounted taps and necks. 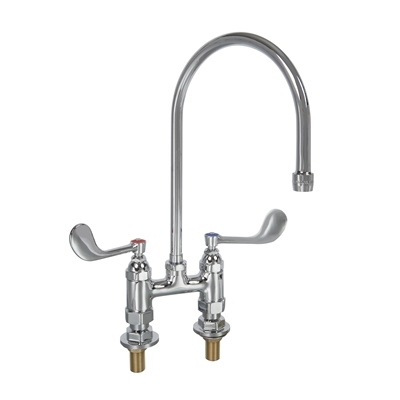 Taps include: 4” centre deck mounted Tap with 8” goose neck spout, deck mounted monobloc pantry tap with a goose neck spout, deck mounted monobloc pantry Tap with swing spout and double deck mounted monobloc pantry tap with a double jointed spout. 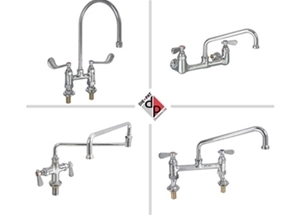 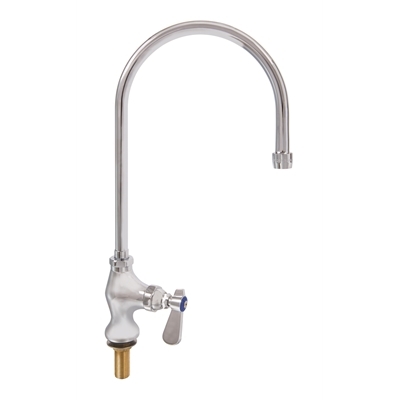 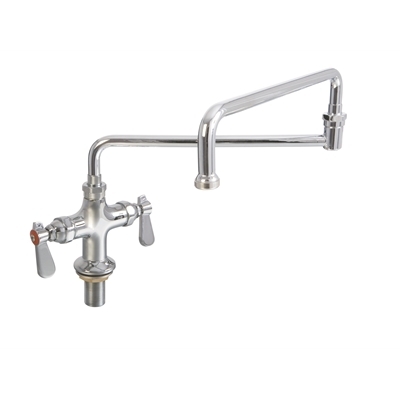 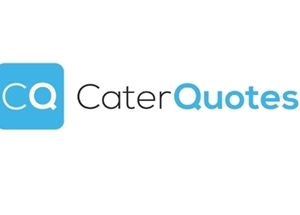 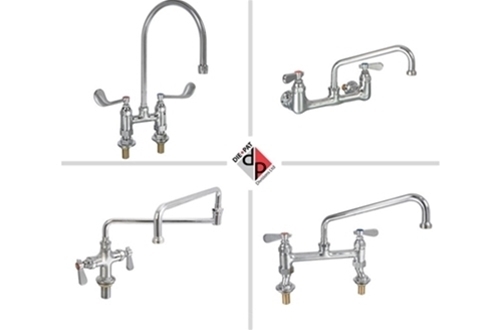 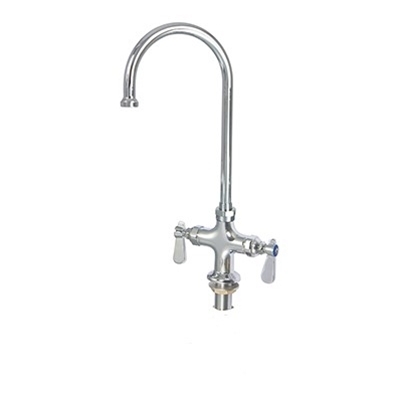 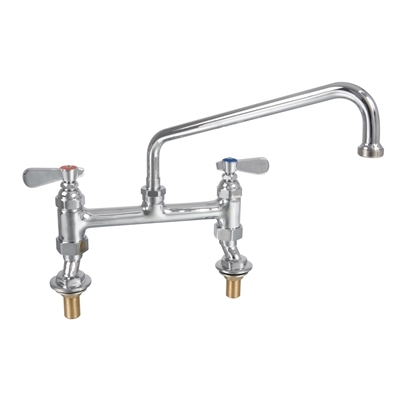 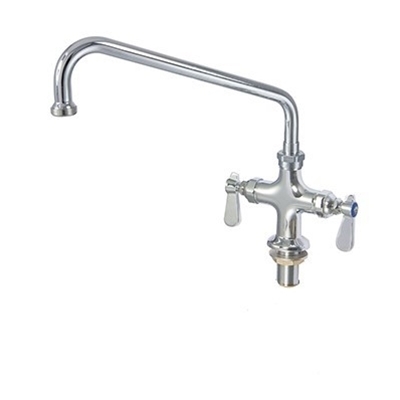 Single deck mounted Tap - Goose neck spout - 8"
Single deck mounted Tap - Goose neck spout - 6"
Double deck mounted monobloc Pantry Tap - Double jointed spout"
Please contact Die-Pat if you require help finding the correct deck mounted taps or wall mounted taps.